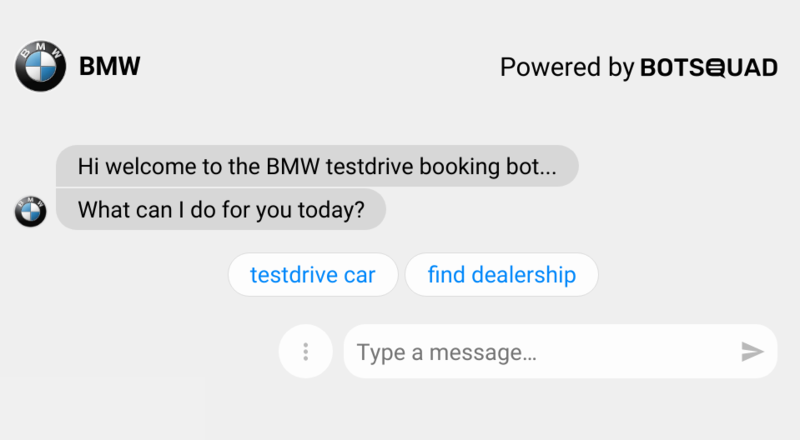 Bots can be exposed as a progressive web app, hosted on Botsquad, either on a .bsqd.me subdomain, or on a custom top-level domain of your choosing. Hosting on a TLD is currently part of our enterprise package. This basic version is good for demonstration purposes and for fullscreen desktop experiences. This view is meant for mobile usage only. 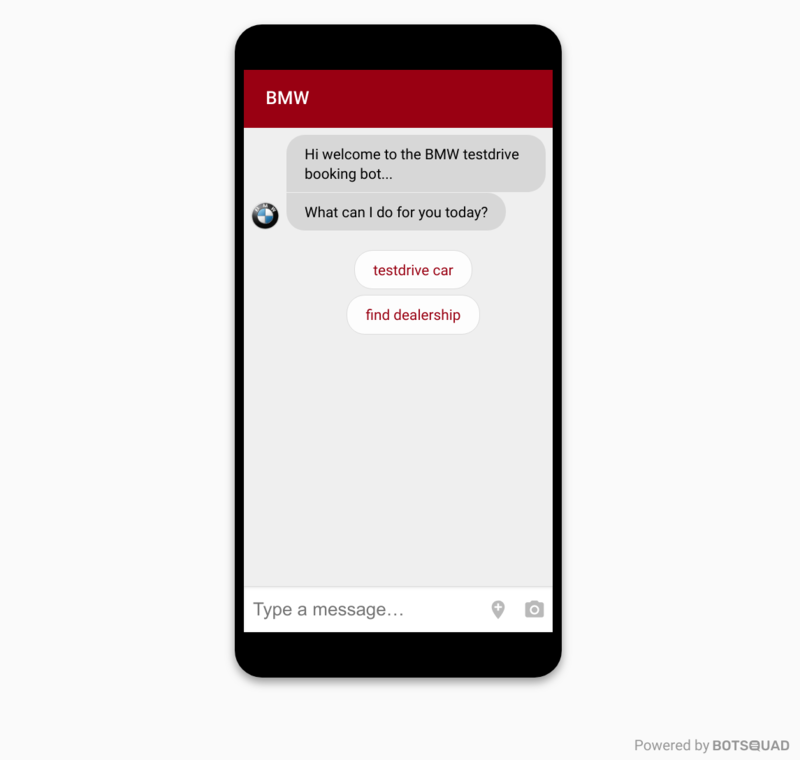 On desktop, a phone frame will be rendered around the chat window, to be able to demonstrate the mobile experience.